As a kid, we all loved winter. Remember waking up to find out that school was canceled due to snow? Then you would spend the entire day building snowmen and sledding. What a blast! Why don’t we feel this way as adults? That’s easy, because we don’t get snow days anymore. Road conditions are a nightmare and taking one step out of your door feels like torture because you can barely breathe, your glasses fog up and your nose instantly starts to run. Trust me, I feel your pain. Iowa winters can be brutal. We all have to take extra safety precautions when winter comes. Here are some things to help keep you and your family secure this winter season. 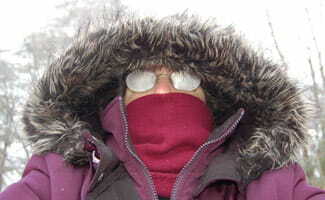 There are many areas in your life that need to be carefully looked after during the winter months. Below is a guide to everything discussed in this article about winter safety. 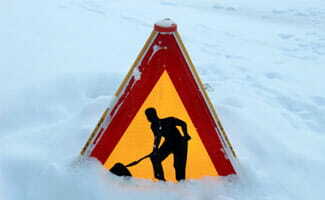 What are some Shoveling Snow Safety Tips? What should be in a Vehicle Emergency Kit? What should I do if I become stranded? Why are Fires more Common in the Winter Months? Be sure to have a plan in case of a disaster. Ensure that everyone in your family is informed of the plan specifics. Having some type of family communication plan is a good idea so that if the weather turns bad, you can all find each other. Below are some things you’ll want to do before a winter storm hits. Prepare a winter storm checklist for your home and be sure that everyone knows the list’s location. Purchase rock salt or a similar product to melt ice on walkways. Sand can help improve traction if your vehicle is stuck, so having some in stock can be beneficial. You’ll obviously want snow shovels or other snow removal equipment like a snow blower. If you have a fireplace or wood-burning stove, have some dry wood in stock as a backup in case you run out of heating fuel. Keep tons of blankets and clothing readily available for warmth. Bring pets inside and move livestock to sheltered areas with fresh drinking water. Blizzards are very dangerous and it’s important that you know what to do when one hits your area. Stay inside and dress warmly. Eat and drink regularly to give your body the ability to produce its own heat. Keep dry and change wet clothing to stay warm. Stay in one room and block the other rooms off. Let sunlight in during the day, but cover the windows at night. It’s scary thinking that you could be stuck in your car or outside when cold weather hits. Road conditions can change quickly and it’s not always safe to make the journey outdoors. What should you do when you get stranded outside in cold weather? If possible, walk to shelter to protect yourself from extreme winds, but only if the shelter is nearby. If you are wet, try to get dry by changing clothes if you have a spare set, or lighting a small fire. Fires can provide warmth and can help your clothing dry. Dig a snow cave to provide insulation from the wind and cold temperatures. Do not eat snow as it will lower your body temperature. Instead, find a container to put snow in and then place the container inside your coat but not directly on your skin. The snow will melt and you can then drink it to stay hydrated. What are some snow Shoveling Safety Tips? Snowfall accumulation can get pretty excessive and you’ll find yourself spending a good amount of time with your shovel. It’s easy to throw your back out or injure yourself in other ways. Here are some precautions you can take to lower your risk of injury. Use a shovel that’s comfortable for you. Warm up and stretch before you begin. Shovel freshly fallen snow (wet, packed down snow is more difficult). Push the shovel instead of lifting it (it’s easier on your back). When you do need to lift the shovel, use your legs and keep your back straight. Watch for signs of a heart attack, lightheadedness, shortness of breath, dizziness or tightness or burning in chest, arms, back or neck. If you need to stop, STOP! Listen to your body and get medical help if necessary. 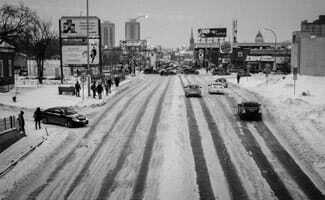 Road conditions can be affected at any temperature, whether it’s -20°F or 90°F. It’s important to check your local weather and TV stations for up-to-date road conditions so you know the possible threats on the road before heading out. Always make sure your vehicle is in good condition and is serviced regularly. Items you’ll want your mechanic to check include the following: heater and windshield defroster, battery, brakes, brake fluid, ignition system, lights and emergency flashers, tires, exhaust, oil, radiator and power steering fluid. Things you can easily check yourself include your windshield washer fluid, tire air pressure and your gas tank. During the winter months you should purchase deiceing fluid so it helps keep your windshield from icing up. Check your vehicle’s manual to see what your tire pressure should be and check your tires regularly to make sure they are at the right level. Keep your gas tank above half a tank so if you are stranded on the side of the road you can stay warm by keeping your vehicle on. Have a vehicle emergency kit in your car (we recommend the AAA 73 Piece Premium Road Kit on Amazon). This is a good idea year round, not just for the winter months. Stay by your vehicle unless you know exactly where you are. You don’t want to get lost on foot in winter conditions. Attract attention by lighting flares at each end of your vehicle. Be sure they are a safe distance away. Check to see if the exhaust pipe is blocked. If not, run your engine and heater for about 10 minutes every hour or so. Use warm clothes and blankets to keep warm. Keep a window open slightly so heavy snow and ice doesn’t seal you inside the vehicle. Eat hard candy while you wait for help to keep you mouth moist. Move around at least once an hour inside your car. Try clapping your hands or stomping your feet. With cold, winter weather comes lots of illness. Besides washing your hands often and covering your mouth when you cough, there are other health precautions and preventative measures you can take to help you feel your best during the winter. Coming down with the flu can put you out for days or even weeks. Getting a flu shot early can protect you from the most common viral infections of the season. The best time to get your flu shot is in October or November, but it’s never too late to get the vaccine. It takes two weeks for your body to build up immunity to the flu, so the sooner you get your flu shot the sooner you’ll be protected from virus. Make sleep a priority, get plenty of rest. Don’t share drinks or foods with others, including the containers. Avoid your auntie’s kisses if she’s got a cold sore. Why are House Fires more Common in the Winter Months? You’re baking up a storm, using your space heater to warm up, sitting by your crackling fire and smelling the sweet aroma from your candles. All of these are fire hazards and it’s easy to see why house fires are so common during the winter. Make sure your fire extinguisher is in working condition and have it in a ready to use location in case of a fire. Space heaters can be very dangerous if you don’t use them the right way. It’s important to always turn off your space heater and unplug it when you’re not in the room. Keep your space heater three feet or more away from any objects,including the walls, so there is less risk of anything burning. Never use an extension cord with a space heater. The cord could potentially melt and start a fire. 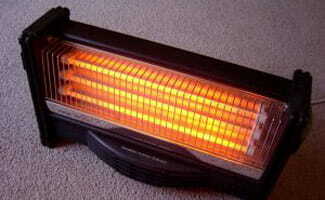 If you have a gas space heater, turn the gas on after you strike your match. Never use your gas oven range as a replacement for your furnace or space heater. Sitting by the fire, enjoying a hot cup of cocoa is a common activity during the winter months. It’s important to keep your chimney and fireplace clean. At a minimum, have it cleaned annually. Be sure the ash is cleaned up as well to prevent any build up. Do not have the fireplace in use for long periods of time. Preferably, keep a fire to less than five hours. Keep glass fireplace doors open so air can flow upwards to cool the chimney and keep the screens closed to prevent sparks from leaving the fireplace. Let fireplace coals sit for a minimum of three days before cleaning up the ash. Don’t use a vacuum to clean up ash because embers could still be in the ash. Clean the area where the logs burn once a week during months the fireplace is in use. Leave some ash in this area while using the fireplace, but once you’re finished using the fireplace in the winter clean all of the ash out. Do you have any additional winter storm tips to share?